A: Mr. Tony Zhang, the owner of Haobo Stone, with his 17 years experience in stone manufacturing and trading, combine enthusiasam with perseverance, Haobo Stone have developed into a stone-related manufacturing, trading and shipping together company. 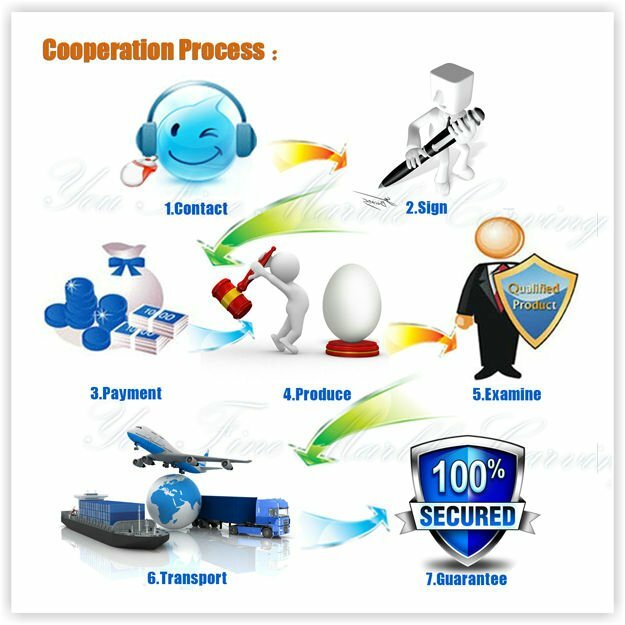 2.Q: How to proceed an order with your company? A: Firstly, please kindly view our website, then select the items you like. But if you have your own detailed requirements, please send us your drawing or order picture, or call us freely! We has the English-speaking sales, French-speaking sales, Russian-speaking sales, German-speaking sales, Japanese-speaking sales to serve you! 3.Q: What is your Minimum Order Quantity? A: There is not limit. We accept trial order, test order, sample order and mixed order, depends on your company's real demands. 4.Q: How long would delivery take? A: It depends on your order quantity. Usually 10-25 days after receiving the deposits. If you need urgent, we can do for you faster, or you can choose our stone materials in stock, this will save time and money for you! There are always stone blocks in stock in our factory. 5.Q: Can you arrange the shipment for me? A: Yes. We have our own shipping company in Xiamen City, so we can offer you good price for freight cost. 6.Q: What weight a 20ft container can be loaded? A: A 20ft container can be loaded about 7 cubic meter stone, it depends on stone shape and size. Generally speaking: USA-a 20ft container can be loaded only about 17 tons. Europe & Asia, usually can be loaded about 27 tons. 7.Q: What service can you provide? It is regulation of our company to reply any enquiry or emails in 24 hours both on working time and holiday. You can know everything on your order or other information from sales girls who contact with you such as offer, order statues, new production consultation etc. All the mobile of sales person is opened for clients in 24 hours. All of our tombstones, monuments, vases, plaques, angel statues, jesus statues, tiles & slabs, columns, countertops, sinks can be customized as your request. We provide proffessional CAD drawing for confirmation to make everything clearly perfect as what you like. 8.Q: May I visit your factory? A: That is our great pleasure and honor! Please inform us your information, such us schedule, air port and hotel room number, mobile number. We will welcome you at air port. If you did not find the answer you were looking for in the above, please do not hesitate to contact us. We are ready for any of your questions!